That dress is SO pretty on you and I love those heels!! This dress is absolutely DARLING on you! I love it! The necklace is just perfect with it, too! You look absolutely stunning in this gorgeous outfit! 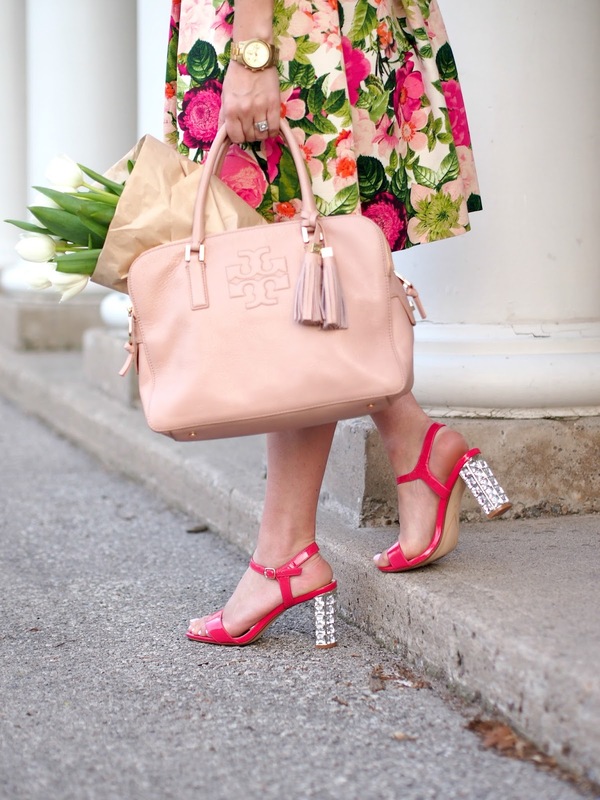 The floral print is amazing and these shoes are so unique! 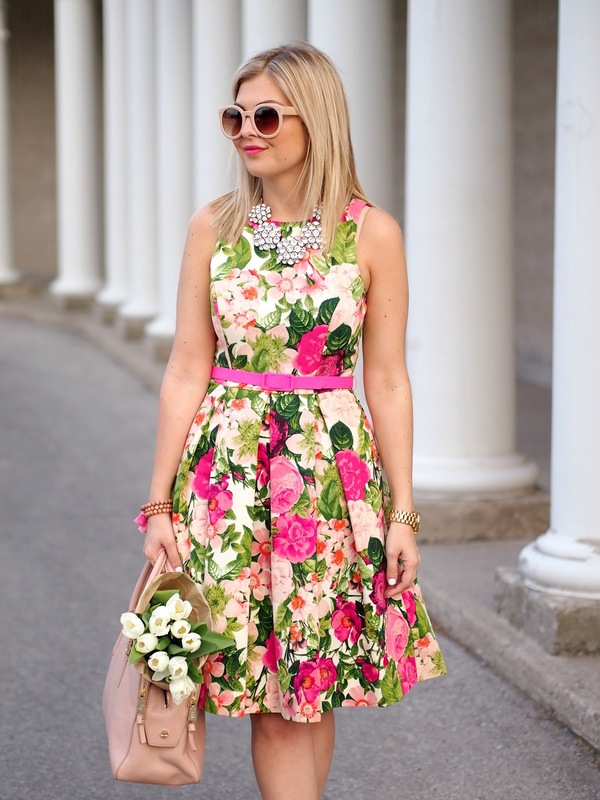 This look is perfect for a derby party! I love the embellished heels- what fun girly touch! Your statement necklace completes the look. Love it. Oh my gosh, I'm obsessed!! That print is SO pretty! This dress, girl! Stunning! Such a perfect mix of color for the spring. Love it! Krystin I am not sure how you do it, but you always make every single pair of sunglasses look like they were MADE for your face! Has there ever been a pair that didn't look GREAT on you? I am also a huge fan of Eliza J, and you always do her dresses justice! Very pretty dress! Great look!